Put on your dancing shoes and Dance for Dignity this October! This month, our residential care homes up and down the country are getting involved in the National Dignity Council’s October event, ‘Dancing for Dignity’. Supporting the ‘Dignity in Care’ campaign, Dancing for Dignity gives our residents the opportunity to have fun all together, singing and dancing, whilst actively supporting the campaign which aims to make a difference to people’s lives and to inspire others to place dignity and compassion at the heart of care services. 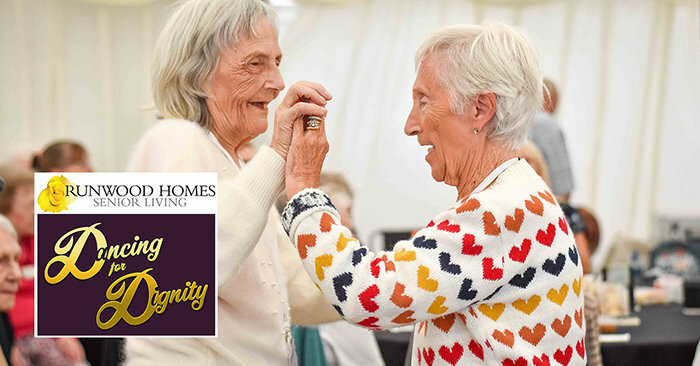 Windle Court care home in South Woodham Ferrers, Essex, are leading the way onto the Runwood Homes dance floor with their upcoming event on Friday 19 October, 2pm-4pm. Visitors in dancing shoes are welcome to join in! Find a home near you by clicking here and let them know you’d like to join in with their Dancing for Dignity event. Read about Runwood Homes ‘Dignity for everyone, everyday’ campaign by clicking here.